Archintorno was involved in the design and recovery of Piazzetta del Lino in the Secondigliano neighborhood, with the involvement of the kids from the Vulimm Pazzia playroom and the Arco Iris Association. 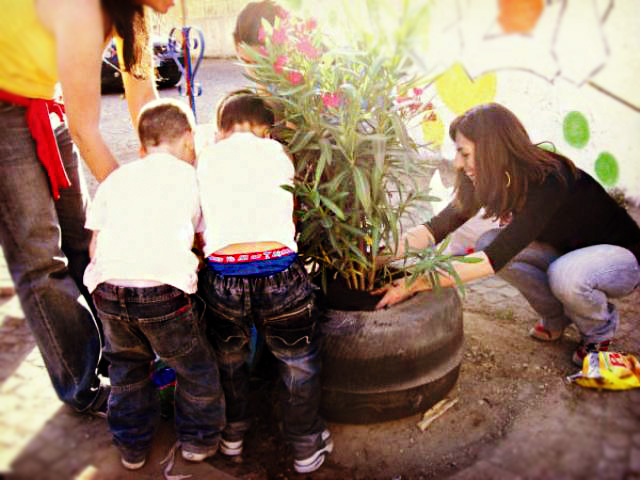 Archintorno guided the kids to build urban furniture and to play with reusing waste materials to make a small abandoned square near the playroom more livable. The project won the third edition of the Mito del Mammut, a game which interweaves theater and folk tradition with teaching and pedagogic research to improve the teaching of enhancement of city public spaces.